This month of April, PAG-ASA recorded the hottest day of 36.4 degrees Celsius at 3 pm last 27th of the month. Since the month of May yearly holds the record of highest hottest temperature, we have to prepare ourselves. Our body can be compared to a well-oiled machine but we need fluids to operate it efficiently. Even if our body is said to be made of more than 60% water, it is easy to lose fluid and even light exercise can deplete fluid level of the body. Fluid less body means no function, and if you are in mountaineering or outdoor activity you can expect to be stranded on the trail with an overtaxed body due to dehydration. 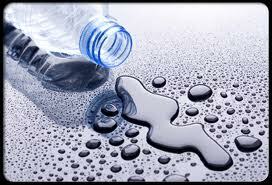 Hydrating or adding fluids is the key to for us to finish and enjoy our activity. 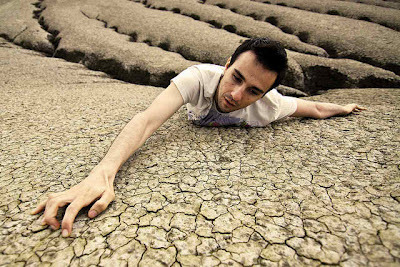 The moment you reach the point of feeling thirsty, dehydration already begins. Notable signs dehydration is dry mouth and a decrease in energy which can quickly lead to cramps, headaches and nausea. The cure to all this unpleasantness is as close as a glass of water. Drink early—about 2 hours before the activity. Drink often—continually sip fluids rather than gulp them down infrequently. Add sport drinks —they help restore carbohydrates and electrolytes. Drink the moment you reach your destination, hydration gets your fluid levels back to normal and can help with recovery. Use the "copious and clear" rule—this refers to urine volume and color when you're drinking enough fluids. The darker color and less volume is an indication that you're dehydrated. Remember, too much of a good thing, even water, can have negative side effects. The flip-side to dehydration is over-hydration or hyponatremia. This is a fairly rare condition which mainly affects endurance athletes such as marathon runners and tri-athletes. In hyponatremia, sodium levels in the blood become so diluted that cell function becomes impaired. In extreme cases, hyponatremia may cause coma and even death. Try not to drink more than you sweat. You have to keep the salt level balanced by drinking a sports drink with electrolytes instead of plain water and/or eating a salty snack.